2012 GHOST TOWN Schedule shaping up nicely! The slate of events for GHOST TOWN 2012 is coming together nicely as many different groups and organizations combine forces to provide some wonderful activities themed around Hallowe’en. Once again we offer a trio of family-friendly evening events, on Friday and Saturday evenings (Oct 19-20-26-27) but this year with a new twist. 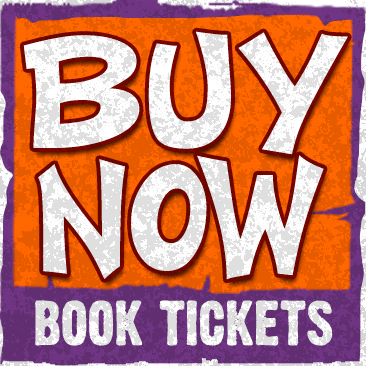 A Haunted House, Hidden Hauntings and Ghostly Gardens can be experienced with individual tickets or you can purchase your GHOST TOWN PASSPORT for access to all three. We have some exciting new events in the works as well, such as Ghost Story Gala on October 27 at King’s Theatre and a Ghost Story Telling Workshop for kids earlier in the day. Another new initiative is our October 28 GHOST TOWN Lantern Walk, providing an opportunity for a unique walking tour of Annapolis Royal, with wine and treats at strategic locations of course! And there are theatre productions, kids parties, workshops, candlelight tours… all sorts of things to add some fun to the season. If organized activities aren’t your thing, there is also and offering of self-guided “every day” activities that may be more your style. Read all about these events and more, in our GHOST TOWN Schedule of Events. ← GHOST TOWN 2012 – Dates Announced!